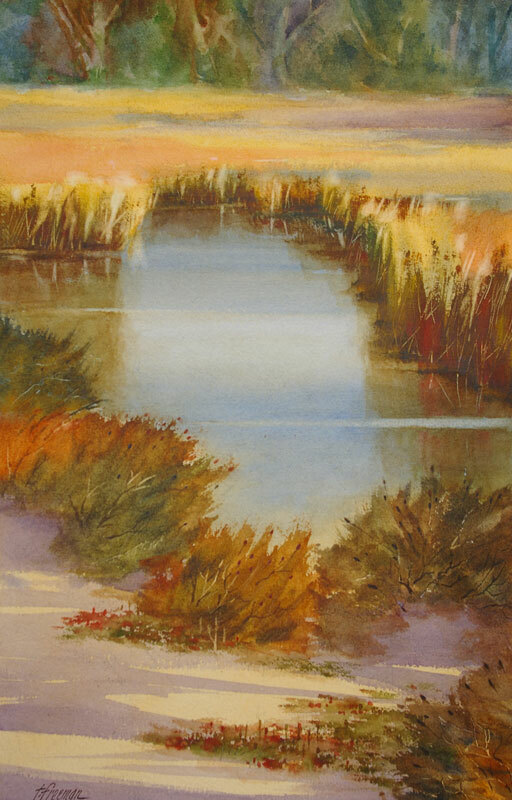 Thomas Freeman Original Watercolor Painting: "Carmel Marshes"
Carmel, California is a quaint little town with lots of tourists. But I prefer its back country, marshes, oceans, dunes, etc. This painting shows an area of the Carmel bird sanctuary that attract lots of birds – and artists.